If my heart is connected to my womb it makes sense that I am bleeding so much. My heart is aching, and it has been for as long as I can remember. What does it matter to be honest, if noone ever takes the time to truly listen to what you have to say? Being ignored by parents only to grow up ignoring ourselves too. Cycles that need to be broken with not a single clue on how to go about it. I am bleeding, that is one thing that is certain. Masking the pain with a smile is not possible any longer. It’s a trap to think you are already healed when in reality you are still running babygirl. Yet, I can’t seem to find another string of thoughts. Sooner or later they all just seem to abandon me, might as well be the one the leave first. Leave them first, yes, but also leave myself because that is the root. No tree can grow from rotten roots. Water, more water, sun light maybe? I better start digging if I want this tree to grow. Dig up all the pain, all the not so pretty parts that were hidden all this time. Yes I am hurting, and for once I won’t be the one kicking myself while I’m already down. My heart has been aching, my body is talking. Time to start listening, pay attention to what it is trying to show me. Lovingly listening, giving my inner child what it has been longing for all these years. Honoring her, letting her take me by the hand and play along. Free from hurt, sorrow and fear. I know my blog is a very personal one, but as you might have noticed I am slowly opening up more lately. Where I tried to ”hide” behind a more general speaking format when I started this blog, my latest writings are more personal. As I am currently flowing towards an opening of ALL parts of my being, a need to express my more intimate challenges has risen up. For a few days I have been contemplating writing/expressing this part of my self and I was trying to avoid the matter. It is quite terrifying being so vulnerable, so I did not want to go there. But I feel deep into my womb that in order to truly heal and free myself of all blockages, I NEED to do this. The subject has been carried with me for years now wrapped into cloths of shame, weighted by layers of guilt on top of that. I was a Wombman before you came and took away my power. I still am a Wombman now, rediscovering my power, my softness, my sensuality, my sexual energy. My womb has been carrying a lot of trauma with her, and I was not able to receive this knowing. For years I was so far removed from her, and my body awareness in general. As a child I was very sexual, my energy flowing freely, but emotionally my parents did not always honor my boundaries. This resulted in me not being rooted: I did not learn how to have boundaries. In my teenage years this caused a lot of rebellion, limitless behaviors, and I attracted a relationship that was very traumatizing. It involved abuse, emotionally and physically, which I have never been honest or open about publicly. After two years of being in that relationship I was literally ‘out of my body’ to cope with all the hurt and trauma. Coping with it was only possible if I created a survival mode for myself: Running away from the pain. This meant that I was partying, using drugs jumping from and into relationships to distract myself from the wounds I had inside of me. Being very analytical I always ‘talked away’ my issues: Because I was always very aware and articulate, even psychologists and therapists were fooled by my antics. It always seemed as if I got it all figured out and from the outside I seemed very strong and secure. All the while within there was this little girl trying to carry all of this pain by herself. She did not have a voice. She did not know how to heal. She did not stand a chance because this little girl was me and I was too busy ignoring her, simply because the confrontation was too much for me to handle at that point. Fast forward: The now. As I am a decade further down the road, I can finally say that I am ready to truly deal with this trauma. My womb has been giving me signs for almost two years that it is time to take on this journey. I am literally bleeding outside of my periods, without any probable cause. Doctors tell me to take artificial hormones so that the symptoms disappear, but I know I need to go to the core issue here: The energetic trauma that is causing this. Yesterday I was at a Red Tent Womens circle (more information click here.) and while we were practicing a release ritual I started feeling a pain in my womb. I knew this was unhealed trauma and pain, not only from this lifetime, but also from all the generations before me. When I went into the bathroom I noticed that I had lost blood. My womb is literally in pain and shedding and releasing. Time to take back my power, heal myself for good. It is hard to create a space of love and really receive the messages my womb is giving me while in this state. Part of me is so angry and frustrated with her. Like, why the hell would you just bleed out of nowhere?! Can’t you just function the way I want you to function? Then I remind myself of how I haven’t been in tune with my womb for years. How my womb is just screaming for attention: literally telling me ‘Here I am’ and ‘You can’t ignore me any longer’. Well she does have my attention alright. My womb is a sacred channel connecting me to the womb of mother Earth and the Cosmic womb. In order to receive all guidance, first I need to clear and release all blockages. I have faith and believe that what ever I am going through right now, will assist me on my journey of stepping into my power and purpose here on Earth. It all sounds so easy writing it down, but it truly has been and still is a challenge. That is how I know deep down that this is something really significant that is going to play a huge part in my lifetime. For now, I feel very vulnerable putting this out there. The first step into taking back my power is a fact. Time to reclaim my Wombmaness, my magic, my force, my softness, my warrior spirit. Time to reclaim me, wholesome and complete. Today marks a BIG day: It is the first day of September. 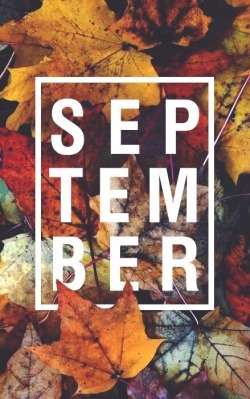 The month that kind of feels like the last day of summer to me, and the first day of autumn. Also today is the day of the New Moon, another mark of new beginnings and the end of a cycle. But the most important mark for me personally is that today is our one month anniversary, and me being part of a corny coupledom I NEED to dedicate an article to it ofcourse. So here I go with the evaluation of the last month, my intentions and wishes for the coming month, and some reflections. So where should I start? August has been a wonderful month for me, filled with growth, friendship, romance, laughter, tears and breakthroughs. Stepping into and committing to be with my (corny) love seems to have been some sort of catalyst for movement, changes and healing. As I am getting ready to meet him physically (mind you we have never even met physically see here), I sense that I am also ready to meet parts of my self that have been hidden for a very long time. I am releasing the old and slowly moving my toes forwards into becoming, more and more the woman I am supposed to be. Or better yet, I am simply becoming. Nothing supposed to be anything. Just becoming more real everyday, without expectations, needs for validation. Just free and unapologetically; me. He supports me, he guides me and he understands me to a point where if he does not understand he will ask enough questions, takes enough action to meet me where I am at. And as I am growing, he is right here growing next to me. Like two trees in September, standing firm next to one another. The roots might grow intertwined with each other but the trunk stays solid and alone. Firm planted in the soil, sunlight soaked up all summer, getting ready to transform green into orange. When green represents the heartchakra, orange is all about the sacral chakra. Sexual energy, creative energy, emotions, passion. Isn’t that resonating with every thing we are g(r)o(w)ing through? Moving downwards, deeper within energy that cannot be seen but can definitely be felt. Going inward into hidden blockages, freeing ourselves from everything that’s been weighing us down, blocking us from becoming. Starting with a heart to heart connection, inspiring us to co-create, co-exist. This relationship changes me, evolves me. So here I stand, leaving a month and an area behind, facing the future that is ahead. I do not feel alone, because he is right beside me. We made it through one month of growing closer, sharing energy, dreams, hopes, fears, tears and laughter. He feels so close to me energetically, as if I am carrying him with me everywhere I go. Yet, we still need to unite in the physical. In exactly one moth and 4 days will my feet touch the ground in the United States. That moment when I get my luggage and find my way to the parking lot, or where ever they pick people up, is when my heart will either drop to my stomach, beats out of my chest or both. That moment when we can finally can experience and enjoy each other without distance, boundaries or time zones. I cannot phantom how it will be, but I know internally that what ever happens everything will work out in our favor. The Universe is has been carrying me and I trust that it won’t be any different with this one. Changes are coming, but this time it won’t be ”happening to me” but more so will I dance with them. Moving my hips, singing my song, free and surrendered to all that is to come. To keep my mind and heart set on my intentions. The intentions of becoming, loving unapologetically and fearless, stepping into my purpose and power. Practicing and cultivating self love more and diving deeper inward, literally into my womb: Where my power of creation lies. To be loved so freely and wholeheartedly gives me the courage to finally fly. It literally feels as if I was walking on the edge all along, but I never found the guts to soar and spread my wings so that the wind could carry me. Now that he is with me I feel as though I can finally let go and let the wind take over. I am flying and with each breeze, I rise into higher knowledge of self, and dive further down into the realms of my emotions and energy. September is here. I am here. He is right by my side. Together we will take this journey on into release and embracing all that has yet to (be)come. Have you ever felt so full of everything that it made you feel empty? I keep trying to express my thoughts, my feelings, my emotions, my energy. But how can I express that which I do not comprehend? Do I first need not to sit in silence and just experience what energy I am emitting? Awareness not by choice but as a state of mind. A constant state of mind. My day went by so fast that I did not take the time to truly embrace it. Is it too late now that the Sun’s already set and the lights slowly disappear into the darkness? Am I still able to grasp all my experiences, moments of this day, captured into a summary of gratitude? Or has my chance passed by me without me even noticing that I had the opportunity to be aware of EVERY thing? I mean, how often do I really just breathe in deeply, close my eyes, and give my praise and thanks for right now? Aware of the wonders, the magic, that life on Earth provides. Aware of the lessons, the cycles of release and new beginnings. Aware of my energy, my very own energy, that I do not identify with consciously but that I consist only of. Have you ever felt so distracted by everything that you forgot that you were empty? Empty because we are nothing yet we are wholesome and complete beings. Ironic yet logical, to make sense of it all is to make no sense at all. To simply close my eyes, breathe in deeply, and remember who I really am. Even though I did not grew up with this (children’s) story, I absolutely LOVE it. To me it embodies self love and authenticity to the fullest. ”Once you are Real you can’t be ugly, except to people who don’t understand.” And that is the entire message of self love: Becoming your true self and embracing even the ugly and hurting parts of you, that might not be understood by others, but that does not matter because YOU love yourself. This process takes a long time, you BECOME. And it is a wild ride; you will lose your hair, might catch a scratch or two and it just won’t be all that pretty generally speaking. But once you are real noone can take that away from you. 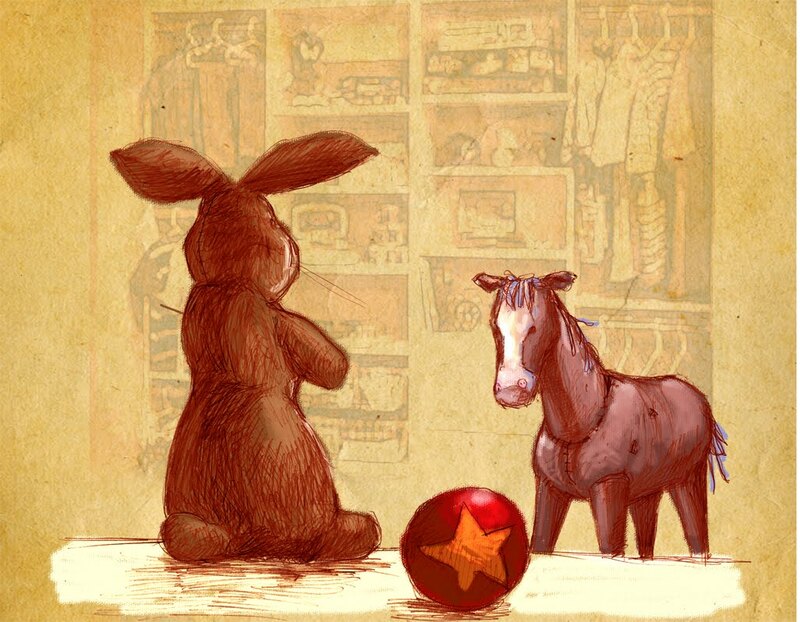 In the story it is the bunny who becomes real once the child speaks it into existence, but in our life we need to make ourselves real. We can only become real once we speak that into existence in our own lives. Once we create the room we need to embody our entire being, o nce we give ourselves permission to be all that we are, we are able to become real. For me personally, becoming is an ongoing process. To be honest every time I get somewhere, into a deeper truth, my ego steps in and think I know it all, and there is nothing left for me to understand. I overcome a challenge, dive deeper within myself, and then I’m like ”ALRIGHT! I get it now. Thank you Universe, I am done learning now.” And every single time that happens, I just fall flat on my face. Spirit guides me with some tough loving which I totally need in order to learn a lesson. I am just very stubborn! And so that is how I keep on bumping my head against stones, some the same, other quite similar but not exactly a copy. At the end of the day I am still becoming and that is something I realize. I am not there yet. Yes, I can give myself some pads on the shoulder for overcoming some addictive behaviors, learning how to be more selective with my friends and relationships in general, making better choices when it comes to my health et cetera et cetera. But to really become real in the full sense of the word, to be my most authentic self, I also need to get UGLY and hurt. My darkness is something that I have been hiding or covering behind light, love, peace and smiles. Yes I have written a few sentences here and there about it, but to really elaborate on it, embrace it as part of who I am and share that out in the open… that is quite a thing. We all want to be liked, accepted, understood. Being ‘socially correct’ is something that I try to do unconsciously, even if it may seem like I am sharing all. My intention is always to share and to be open, but last week I came to the realization that the undertone of my writings is always positive, when I am not always feeling this way. I have my days where I can’t stand people, even though I always talk about peace and love. I have my moments where I couldn’t care less about my eating habits, how I spend my days, or what is going on with my friends or family. I can be very lazy, not wanting to do anything, and actually just stay in bed or hang around all day for real. Sometimes I use my charisma or words to persuade people into getting what I want. My mouth is very foul and I cuss a lot. I don’t always feel like being nice. I can be mean, especially with my words. There is a lot of anger within that I still haven’t dealt with all the way. And to become real, these traits needs to be given space first, and then I need to embrace them as part of who I am and look the world in the face and say: This is who I am. I am real, with all my flaws, all my imperfections. I have my light and my shadow. There are soft and lovable things about me, and then there are parts that are not as warm and attractive. But these things don’t matter at all, because once you are Real you can’t be ugly, except to people who don’t understand. So it is alright to be who I am. I must say I am pretty excited as well to see where this will take me. There truly has been a bag lifted away from my hands. I am no longer carrying the burden of wanting to fit into ”what I should be”. With every new lesson comes a new AHA-moment where I am completely amazed and surprised by what I just found out. Some lessons might seem logical and common sense to others, but to me these new points of view are new and of great value. Guess I just started realizing how much I was lacking in self care, self love and permission to just be, once I started actually practicing it. Now that I have come to this point I know in my heart the most natural step is to start sharing my shadow more. This kind of creeps me out because it makes me even more vulnerable than I already am (telling my story to the whole world like this), but I know with time and loving patience I will get there. I still need to figure out what I choose to share. Intuition plays a HUGE part in what and how I choose to share. So what ever comes up serves a purpose and I trust and believe that. For now this is the REALEST I can get. I wish for you a journey filled with self love, acceptance and a light that shines on the darkness within you so that that too can become a part of who you REALLY are. Waarom is het dat ons mensen denken dat we hebben om te offeren om de liefde? Why Can't liefde be unapologetic? Gratis? Zonder een gevoel van het hebben van te geven onze eigen behoeften en wensen? Wat creëert een gevoel van schuld zodra we onszelf kiezen? Wat maakt dat we onszelf vertellen dat het is egoïstisch, niet nobele? Ik wil gewoon weten wat drijft ons in deze misvatting van wat liefde zou moeten zijn. Misschien ik ben niet zelfs het schrijven over de mensheid als geheel. Ik weet niet eens als ik spreek over een volk. Alle weet ik is wat ik persoonlijk gaan door. Ik denk dat het gewoon 'veiliger' te verschuilen achter een algemeen model. Op die manier dat ik niet hoef te tonen mijn ware kleuren, juiste? Nou, laat me gewoon botte erover. Ik heb jarenlang gedacht dat ik afstaan van kleine stukjes moest van mijn wezen, als een "goede" minnaar. Opdelen zelf weinig van "wie ik was" "Wie I need to be" "Die ik niet langer kan zijn". Welk lied onder was een gevoel van onwaardigheid. Niet goed genoeg te verdienen van het soort liefde wilde ik eigenlijk of tenminste zo dacht ik. Want ik voelde me onwaardig van de liefde die ik longed voor, ik aangetrokken liefhebbers die hield me niet de manier waarop ik moest hou van mezelf. Met andere woorden: omdat ik niet hou van mezelf, ik aangetrokken relaties die waren als gevolg van dat terug naar mij. Ik voelde me onbegrepen, ongehoord, heb bedrogen, speelde en wat ooit de hel anders. Lang verhaal kort, ik was niet tevreden met mijn zelf en dus ik was ongelukkig in mijn relaties. Dit weerspiegelden niet alleen terug naar mij in romantische relaties door de manier, ik had ook een of twee terug stekende vrienden in mijn kring. Zoals u zien kunt, ik zie nu deze situaties voor wat ze waren: lessen die ik nodig had om te leren. Het heelal bracht me die mensen dus ik een grote ding leren kon: ik moest beginnen liefdevolle mezelf! Toen ik begon mijn reis van zelf hou van twee jaar geleden er nog een heleboel onopgeloste kind kap kwesties die ik nodig om te genezen van waren. Omdat ik ben geweest (ab) gebruik van stoffen voor meer dan 10 jaar, mijn emoties waren verdoofd. Ik wist niet hoe diep het gevoel wat ik doormaakte. Dit was iets wat die ik moest leren van kras. Zoals tijd verstreken kreeg ik meer en meer in harmonie met wat ik voelde. U weet hoe zij zeggen dat de tijd heelt alle wonden? Dat is absoluut waar. Voor me duurde het slechts wat langer omdat ik gaf mezelf niet genoeg toestemming om mijn tijd te nemen. In plaats daarvan, ik probeerde lopen weg van de pijn door middel van alcohol, onkruid en feesten. Door de steeds sober gaf ik mezelf de ruimte om weer in contact met mijn emoties. Dit was de eerste stap naar leren kennen mijn werkelijke zelf, en uitzoeken wat recht voor mijn ziel voelde. Terug naar vandaag steeds mijn vragen over liefde en offer nog. Voel ik nog steeds dat ik nodig om te offeren van mijn zelf om iemand anders houdt? Nee doe ik niet. Eigenliefde is een reis die nooit stopt, en wat ik nu weet is dat het begint allemaal binnen. Wij moeten enerzijds om eerst te zorgen voor ons zelf. We kunnen niet verwachten van anderen om dat te doen voor ons. Ook, we mogen niet vergeten over onszelf terwijl het proberen om iedereen ofwel te behagen. Evenwicht is de sleutel, en ik denk dat om te vinden dat we eerst moeten te weten onszelf. Krijgen om te weten wie we zijn, wat we willen en wat we moeten veranderen over onszelf om er te komen. Vraag uzelf af? Wie ben jij nu? Ben jij de persoon die je bent trots op? Wat moet je anders zien te meer trots op? Hoe kun je dat veranderen? En tot slot, welke stappen bent u WILLING en gaan aan het realiseren van die verandering te maken? Ik denk dat hoe meer we stappen in wie we echt zijn, en wat we echt willen, hoe meer gelukkiger we zullen en natuurlijk, hoe meer we kunnen geven aan anderen. Geluk is besmettelijk, dus hoe gelukkiger wij zijn, hoe meer gelukkiger kunnen we anderen. Het begint allemaal binnen. Voor mij is dit iets dat ik ben nog steeds leren. Want ik gevoelig ben, is het gemakkelijk voor mij te krijgen meegezogen in energie afkomstig van anderen. Eigenlijk moet ik echt mezelf op de grond, ga binnen naar inchecken met mezelf en zie wat ik voel, voordat de interactie met anderen. Deze manier, zal ik weten waar dingen vandaan. Ik ben niet proberen om te offeren mezelf langer. In feite ben ik proberen om het hou van mezelf meer alledaagse. Eerst over mezelf. Zorg ervoor dat ik ben recht zodat ik ben in staat om mijn liefde, genezing en overvloed te delen met de wereld om me heen. Ik denk zeker dat er een groot verschil tussen opofferen en geven. Ik ben bereid te geven? Hel ja! Ik zou het allemaal weg te geven voor liefde. Ik ben bereid om te offeren? Helemaal niet. Ik zal mezelf niet aanpassen aan andermans verwachtingen van mij. Liefde mag niet worden gegeven aan mij in ruil voor iets anders, als ik het vrij niet ontvangen ik wil het niet (en het niet liefde). Mijn gevoel van eigenwaarde is niet gemeten door de likes en validaties van anderen, dus ik hoef niet te winnen van hen. Mijn liefde voor zelf is zo rijk dat ik krijg om het te delen met anderen. Ik hoef niet te kiezen tussen mij of een ander. Ware liefde laat me mijn hele zelf worden zonder grenzen. 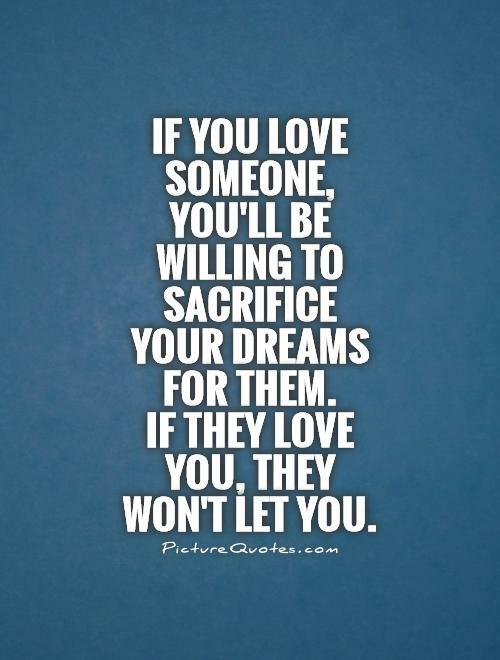 Why is it that us humans think we have to sacrifice in order to love? Why cant love be unapologetic? Free? Without a sense of having to give up our own needs and desires? What creates a feeling of guilt once we choose ourselves? What makes that we tell ourselves it is selfish, not noble? I just want to know what drives us into this false belief of what love should be. Maybe I am not even writing about humanity as a whole. I don’t even know if I’m talking about a people. All I know is what I personally go through. I guess it is just ‘safer’ to hide behind a generally speaking model. That way I don’t have to show my true colors, right? Well, let me just be blunt about it. For years I have thought that I had to give up little pieces of my being, to be a “good” lover. Breaking myself into little parts of “who I was” “who I need to be” “who I cannot be any longer”. What lied underneath was a feeling of unworthiness. Not being good enough to deserve the type of love I actually wanted, or at least so I thought. Because I felt unworthy of the love I longed for, I attracted lovers that did not love me the way I needed to love myself. In other words: because I did not love myself, I attracted relationships that were reflecting that back to me. I felt misunderstood, unheard, got cheated on, played and what ever the hell else. Long story short, I was unhappy with my self and therefore I was unhappy in my relationships. This did not only reflect back to me in romantic relationships by the way, I also had one or two back stabbing friends in my circle. As you can see, I now see these situations for what they were: Lessons I needed to learn. The Universe brought me those people so I could learn one MAJOR thing: I needed to start loving myself! When I started my journey of self love two years ago there were still a lot of unresolved child hood issues that I needed to heal from. Because I had been (ab)using substances for over 10 years, my emotions were sedated. I did not know how to feel deeply what I was going through. This was something I had to learn from scratch. As time passed I got more and more in tune with what I was feeling. You know how they say that time heals all wounds? That is absolutely true. For me it just took a little longer because I did not give myself enough permission to take my time. Instead, I tried running away from the pain through alcohol, weed and partying. By becoming sober I gave myself the space to get in touch with my emotions again. This was the first step to getting to know my real self, and figuring out what felt right for my soul. Back to today, my questions about love and sacrifice still remain. Do I still feel like I need to sacrifice my self in order to love someone else? No I do not. Self love is a journey that never stops, and what I know now is that it all starts within. We should be the one to take care of our selves first. We cannot expect others to do that for us. Also, we cannot forget about ourselves while trying to please everyone else either. Balance is key and I think that in order to find that we first need to find ourselves. Get to know who we are, what we want and what we need to change about ourselves to get there. Ask yourself? Who are you now? Are you proud of the person you are? What do you need to see differently in order to be more proud? How can you change that? And lastly, what steps are you WILLING and GOING to make to realize that change? I think that the more we step into who we really are, and what we really want, the more happier we will be and naturally, the more we are able to give to others. Happiness is contagious, so the happier we are, the more happier we can make others. It all starts within. For me, this is something that I am still learning. Because I am sensitive, it is easy for me to get sucked into energies coming from others. 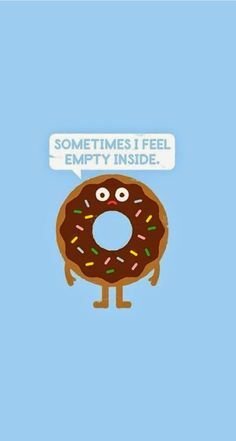 Actually I need to really ground myself, go within to check in with myself and see what I am feeling, before interacting with others. This way, I will know where things are coming from. I am not trying to sacrifice myself any longer. In fact, I am trying to love myself more everyday. Put myself first. Make sure I am straight so that I am able to share my love, healing and abundance with the world around me. I definitely think there is a big difference between sacrificing and giving. Am I willing to give? Hell yes! I would give it all away for love. Am I willing to sacrifice? Not at all. I will not adjust myself to other people’s expectations of me. Love should not be given to me in exchange of anything else, if I don’t receive it freely I don’t want it (and it isn’t love). My self-esteem is not measured by the likes and validations of others, therefore I don’t need to win them over. My love of self is so rich that I get to share it with others. I do not need to chose between me or another. True love lets me be my whole self without boundaries.